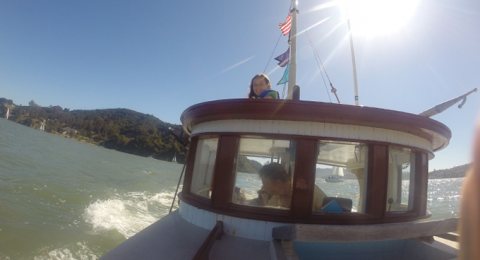 We sailed Channel Pride to Angel Island today with my awesome niece Mae (seen on the topside) and her itchy brothers Aidan and Luke. They all took a leg at the helm delivering us safely to Angel Island for a picnic and a hike to the top. Sailing, great weather, family, food and drink... what more can a guy ask for? I am an avid sailor and boat builder. I live and work in the San Francisco Bay Area.